ORACLENERD: Win an Exadata Database Machine! I think most charities would rather have the money, but Oracle would definitely build a lot of positive buzz with a major product donation like that. Especially if they threw in 5 years free maintenance and a week of custom consulting for setting it up. If I lived in Siberia and needed a nice heater, I might like one. Now if you are a business, you want THAT machine! Imagine also, if you will, letting the "people" be your DBA/designer/developers for something like that. I would gladly donate my time to a similar cause. The lineup would be spectacular. Even making it publicly searchable...man, here I go again! Win the machine...but pay for your own licences ? Can't think of a more worthwhile cause! License would have to be included of course. What is it? 20% a year or there-about? hehe...I've been pestering the Oracle folks for a little over a year now to do something similar to apex.oracle.com (which I love!). At first, it was a trade secret thing, which made sense because it was so new. Now though? Of course I don't know how it could be managed...but that's not the point. One of the reasons I really enjoy Oracle is that you can download all of their software and learn it yourself...Exadata, well you can't download hardware. Would be nice if you could POC something to show your boss wouldn't it? anything really. i won't be selfish. just think it would be 1, great PR and 2, just a good thing to do. karma rocks. You're in luck. 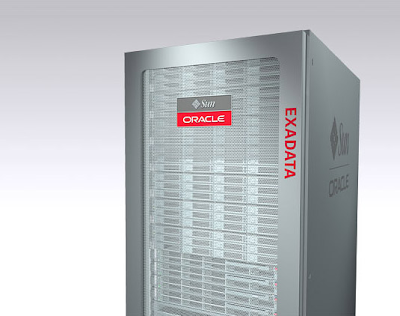 Oracle recently announced Exadata On-Demand. I've heard there are VMs (with the obvious performance gains) internally at Oracle. I've been arguing for some sort of happy medium...give us the VMs or give us something like apex.oracle.com so we can test it out.